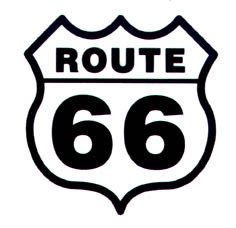 Welcome to the Route 66 Maps website! This website provides a description of the two-volume "Complete Guidebook and Atlas of Route 66", published by Route 66 Magazine, as well as a place to download support documents for the atlas. The Guidebook and Atlas is the most comprehensive description of Route 66 ever published. The guidebook contains mile-by-mile instructions for following the Mother Road and the atlas contains full color maps that match the guidebook text. You can take your GPS receiver along on your next Route 66 trip and follow along with the Guidebook and Atlas. You can download - without charge - the file that contains all 1150 GPS waypoints used to create the atlas. 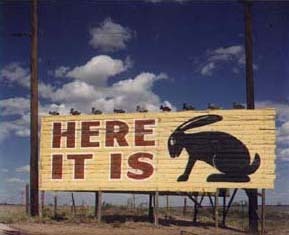 Now, for a moment from our sponsor: Jackrabbit, Arizona!